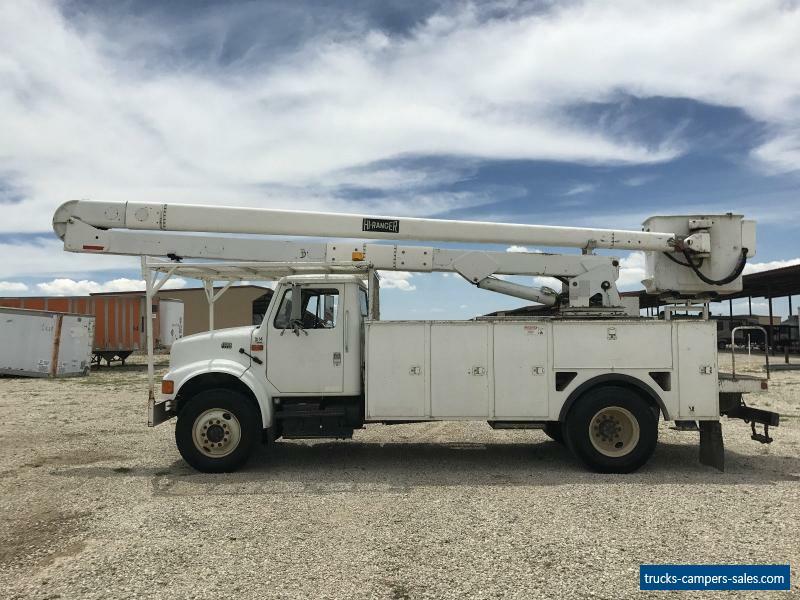 81,541 MILES Up for sale today is 2001 International 4700 bucket truck. 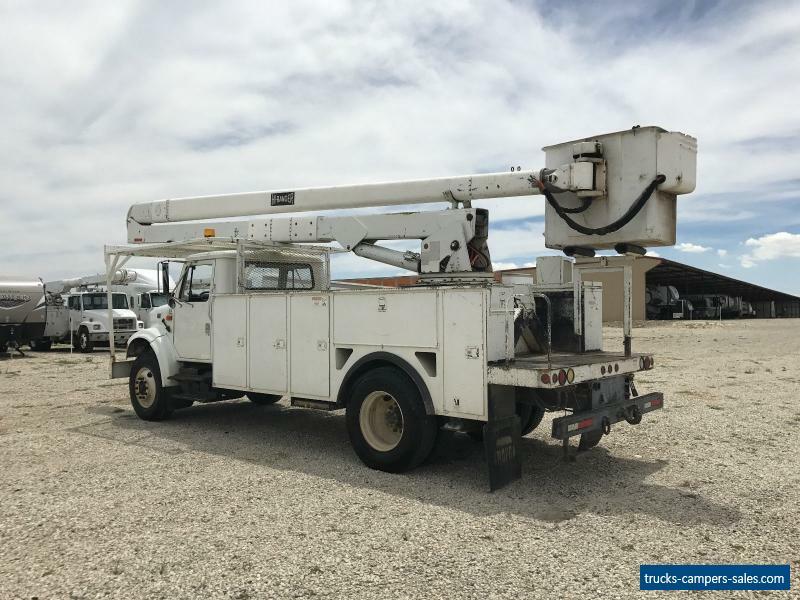 This bucket truck is powered by T444E Diesel diesel engine and is backed by auto transmission. The business end of this unit features Hi Ranger 5FC-55 boom that has 60' working height. This unit is equipped with two man bucket with pistol grip and joystick controls. It is rear mounted boom. There are hydraulic outriggers token you safe while working. There are 11 curbside storage compartments and wheel chalk and outrigger pad storage. The interior features bench seat, ac, heat, AM/FM stereo and 12 volt plugs. This single axle/dual wheel truck rolls on 22.5" tires with 50% tread remaining. For all of your towing needs there is pintle hitch setup. To date this truck has 81,541 miles. This is great truck for the money. It works great and runs great as well. Don't miss out on this deal today. Call or text the number below with any questions. 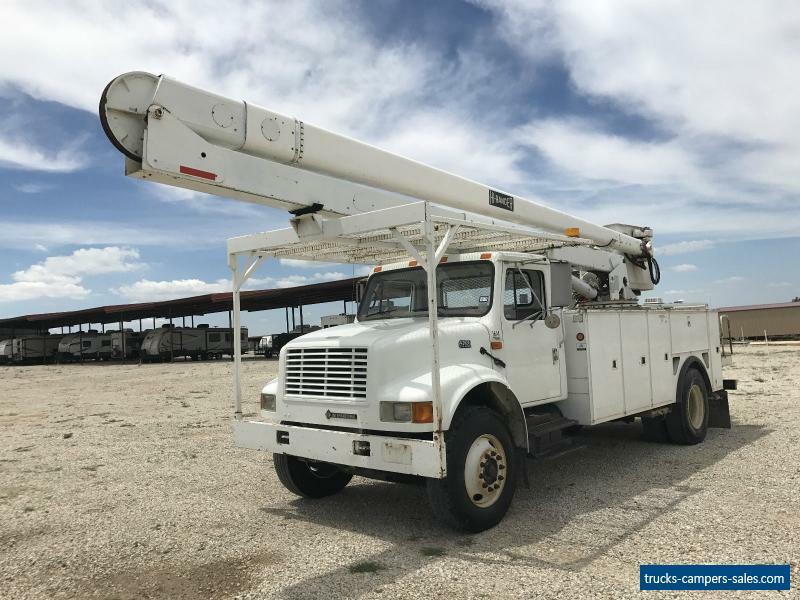 This truck is located in Midlothian, TX, we are also offering this unit for sale locally.